It’s almost time for Spring and that means the bunnies are back in the studio for one weekend only! 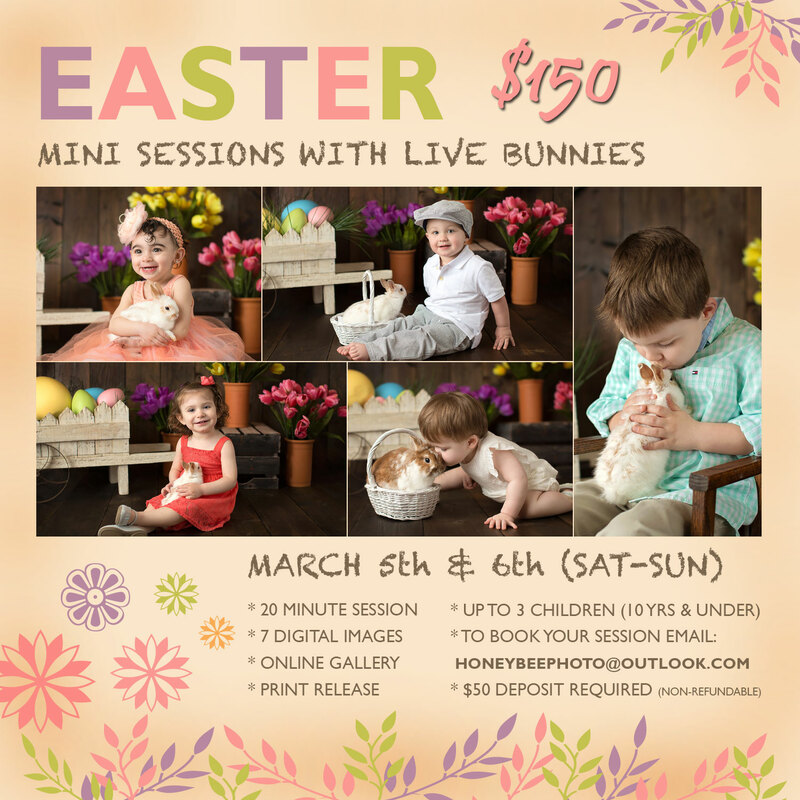 Easter mini photo sessions will be on Saturday, March 5th and Sunday, March 6th! Session times will be booked from 10am-4pm on Saturday (March 5th) and 12pm-4pm on Sunday (March 6th) based on availability. If you would like to book, please send an email to honeybeephoto@outlook.com with a date and time that you prefer. Limited spots are available so please keep this in mind. © 2019 Richmond Virginia Family & Newborn photographer | Honeybee Photography|ProPhoto Photo Theme | Designed by That's Kinda Cool!